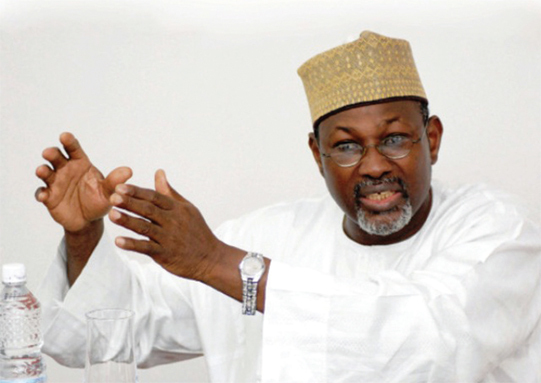 A former Chairman of the Independent National Electoral Commission, Prof. Attahiru Jega, says the biggest challenge confronting the commission is the reckless mindset of politicians, who believe that winning an election is a do-or-die affair. Through this mindset, Jega said, Nigerian politicians had turned the nation’s electoral arena into a bloody battlefield characterised by political thuggery, snatching of ballot boxes and assassinations, creating fear in the minds of the electorates and scaring them off the polling booths. The ex-INEC helmsman declared that all attempts by the country to reform the electoral process would be a waste of effort except the politicians changed their reckless mindset. Jega said, “INEC, as an election management body, faced perhaps its greatest challenge containing the predisposition and reckless mindset of Nigerian politicians. I quite often say that Nigeria has a special breed of politicians – ‘militicians’. “They generally tend to believe that political power, through election, has to be captured and this has to be done by hook or by crook; and by any means necessary. “For many, winning election is literally a do-or-die affair. That is why the Nigerian political arena increasingly resembles a bloody battlefield with maiming, killing, burning, assassinations and unimaginable destruction of lives and property. Jega recalled that prior to the 2011 and 2015 general elections, which he supervised, the Nigerian electorate had been frustrated and become apathetic, so that they no longer wanted to come out and vote.